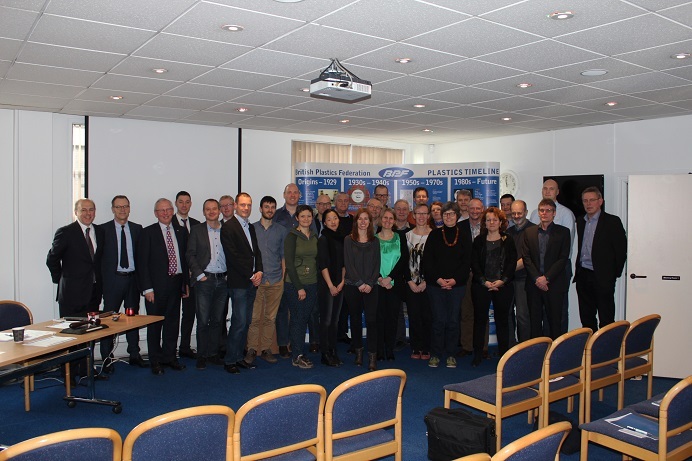 The BPF played host this week to a 26 strong delegation from the Copenhagen Cleantech Cluster which was visiting the UK to study the UK plastics waste management systems, particularly the operation of plastics recycling. 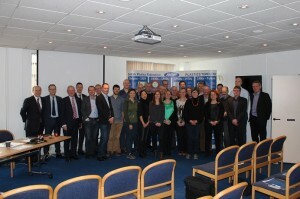 Representatives from all interest groups in the Danish waste management network participated in a lively an informative forum chaired by Peter Davis BPF Director General, including plastics packaging manufacturers such as Faerch Plast, local authorities such as Frederiksberg and Odense together with consultants. One key point that emerged was the changing mood of the Danish waste management scene. Denmark has been notable for the high proportion of energy going to waste but the shape of legislation is shifting with a demand for higher levels of recycling, consistent with the drift of EU legislation. It was pointed out that UK recyclers could potentially play a role in helping Denmark step up its plastics recycling efforts. Today in Denmark, there is a marked shortage of recycling capacity. Jonathan Short, the Deputy Chairman of Ecoplastics, presented valuable perspectives on the current plastics recycling scene in the UK and stressed its international nature. He explained the operation of the PRN scheme underpinning the UK Packaging Producer Responsibility Regulations, which he believed are in dire need of reform. Short said, “I was delighted to be asked to present at the BPF’s hosting of the CCC from Denmark and support the idea sharing initiative. We had a lively and informative question and answer session following the morning’s presentations and some excellent questions were put to the panel. It is encouraging that Denmark no longer views used plastic as waste and there are plans in place to reduce their reliance on burning this valuable resource”. Peter Davis outlined the BPF’s overall support of the Plastics 2020 Challenge initiative alongside PlasticsEurope and PAFA. This aims, with the help of other key stakeholders, to divert plastics from landfill by the end of the decade. He welcomed Kim Michael Christiansen, the Director of PlasticsEurope’s Northern Region, himself of Danish nationality, and said that this was an excellent example of the exchange of best practice experience that Plastics 2020 wants to encourage. For all media enquiries, BPF logos and images please contact Laura Hindley, Communications and Industrial Issues Executive on [email protected] or 0207 457 5043.